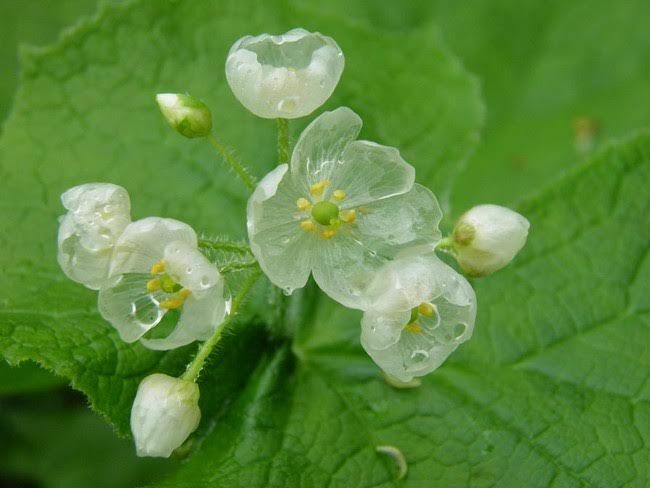 Tiny flowers in the woods are always kind of magical, but some of them possess qualities that make them a bit more magical than others. 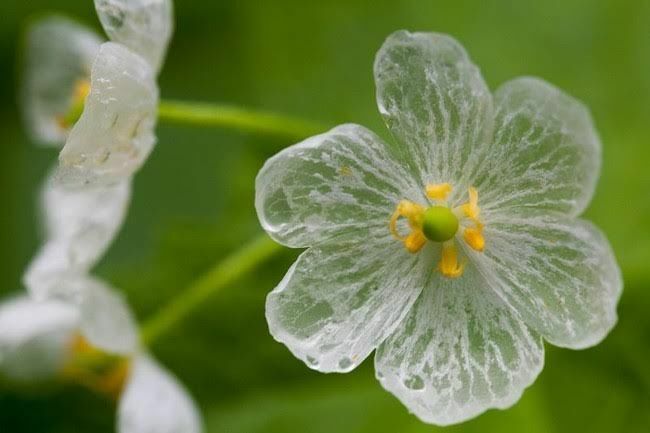 Take Diphylleia grayi, for example, which also goes by the rather more dramatic name of “skeleton flower.” This might sound a little morbid, but the flower itself is actually incredibly beautiful. 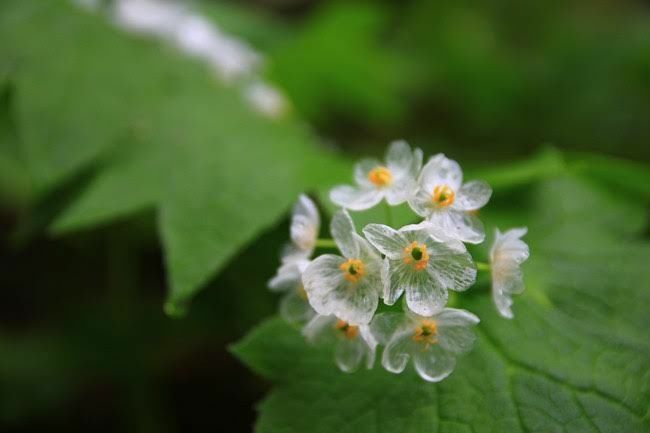 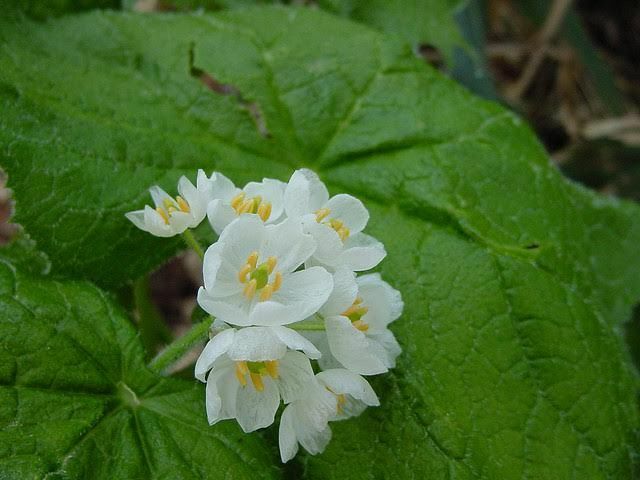 These little white flowers grow in Asia and in some parts of North America. 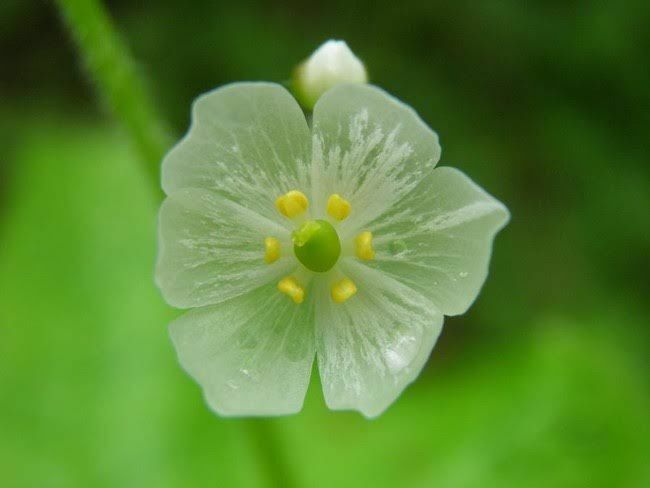 They typically look pretty normal. 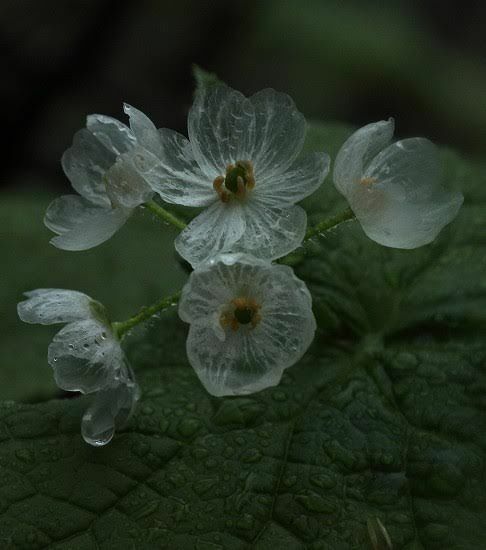 When it starts to rain, however, something interesting happens.